This entry was posted on Wednesday, May 11, 2011 at 10:52 PM	and is filed under Art, David Archuleta, David Foster, Master Class Lady, Mentors, Michael Buble, role models. Tagged: David Archuleta, Destined for superstardom, The Pursuit of Excellence. You can follow any responses to this entry through the RSS 2.0 feed. You can leave a response, or trackback from your own site. I’m not spamming! I promise! David is going to kill me off I swear… his kindness is something else… tears…. David! Thank You! Sandy Beaches..So wise.. Loved this. A mentoring relationship takes 2 willing participants and I hope the perfect combination is just waiting to surface:) Also a business mentor doesn’t always make a great creative mentor..tricky business! Fingers crossed the best situation is on the horizon! Jive was just not the right matchup for his talent and visions, although he may have believed that at the first. This is about a lot of live and learn and go on from there while trying to seize the moment. In my mind, the best mentors are those who have been where you want to go and with the catylst that will take you there. Less stumbles, less falls and less time lost that can lead to a greater success or just simply success. Munk, David’s thank you video fits into the article quite well. John Christian Bach mentor to Wolfgang Amadeus Mozart…they are actually two of my all time favorites as I had to meet with their music 1/2 hour each day when I was very young! Maybe the point is that no matter how gifted you are or how intelligent, a good friend in a similar position can help in so many ways. I have been rather fascinated by the mentoring of such highly successful musicians. I guess that I thought that their talents alone took them to the top, but now I see that they have many friends in high places and they have called upon them for guidance. Finally, in extreme contrast to those listed, the most famous of classical musicians lended a hand to each other. Haydn was a friend and mentor to Mozart and Beethoven. Mozart may have tutored Beethoven briefly. Bravo to them all, they have had the keys to success. Nice poem and article on “Helping Hand”/Mentoring SandyBeaches. I really admire David’s decision to leave a major label because it didn’t fit with his goals. It takes a lot of guts to stand up for what you believe. Many of us continue to pray that David finds the right mentorship,producer,manager. This year David is taking a big step and is not likely to want to get tied down like he was with Jive while thanking them for the opportunities he has had thus far. I believe there are many that would LOVE to work with David. Who wouldn’t. I trust his judgment and will be supporting whatever decision he makes. Heidijoy, any musician who has made it as far as David has is a gutsy person from the start that is certain. It is like the athletes who we watch when David is singing the National Anthem, they all have tremendous determination to keep striving forward and the losses make them push even harder. David is also an athlete so he sure does have that strong, competitive spirit that moves him on. I believe that we will see him bigger and stronger when he is back on our stages. I am not hoping for more for us, but for him. Ha! I’m hoping more for him and for us! Can’t wait for what is next! Hope to run into you @ a concert and thanks for your dedication and thought provoking features. You are right Heidijoy, the more for him will be more for us as well. I just don’t want it so seem that I want more from him. I want him to be respected wonderfully well first because he is one of the very best singers in the industry. I am working on my second or third dream for him now and the dreams have been coming true as we saw in SLC but it takes putting them out there in the universe first. I am certain that we will have concerts soon!! I really get what you’re saying here about David eventually needing a helping hand to guide him in his career. As you point out, many, probably all, of those who went on to great success had someone to help them attain it. I’m not sure David Foster is the one for David but I would like to see someone behind him and ahead of him who gets him and his potential. It needs to be someone who is very knowledgeable in the business and has a keen eye and appreciation for talent. They also need to be able to respect David’s vision and understand that nothing will work well if it doesn’t work for him. They need to be someone who has unshakeable faith in him and is totally committed to making his dream of a life-long career a reality. Mostly, I think they need to see in him what he does not even as yet see in himself and help bring that out. That is what I envision for David and I hope that there is somebody out there that fits this description. Perhaps a family member or life-long friend is already doing this, but I truly believe it needs to be someone who can be objective and who is also well-known and respected in the industry and the arts. If not, an, as yet, unheard of genius would do nicely. So true in all areas of life. The list of mentors and those being mentored shows the value of being mentored from the outcome of the music that has been created by some of these artists. I know that one of David’s mentors is God and I pray that that someone with the attributes needed to be David’s earthly mentor be shown to him. In the mean time I am completely impressed with the tough decisions he has made and the time he is taking to map things out. I am curious and I know we’ll all find out in due time who he’s working with to setup all the upcoming events in all areas of his career. Thank you for bring that video of David giving us thanks, just love him to pieces. I just love to read your writing! In a perfect world, a talent like David could make it on his own but the reality is that he is in a highly competitive business with shark-infested waters. A little guidance from someone who’s been there can go a long way. The thought occurred to me that maybe David already has a mentor and we just don’t know yet. He’s been networking in Los Angeles and Nashville and made lot of contacts. Masterclass Lady has always ‘gotten’ David, from way back in the AI days. But she doesn’t just get him, she really gets him, the way we do. I’ll even bet she has a case of ODD going on. “Excellence is eternal and David Archuleta certainly embodies all the qualities I look for in an artist……. Whether it’s David Foster or someone else, David is a force to be reckoned with, with unstoppable talent. I believe he’s finding his way right now, on his own, down the road to a remarkable career. Hello admins.!! Although David knows what he wants and is going for it, that doesn’t make it any easier to achieve and I know that I would celebrate at this point in his career if I knew that a highly respected and successful person beyond a writer or unheard of producer was merely sitting down with him and having conversations with him about the music industry. There are so many song writers out there between New York and LA who are his friends. Does anyone know the name of a person who might be assisting David? Seeing that video of David’s appreciation to his fans made me think of how much we love him. We “get him” but, will his humility ever let him “get us?” This video made me think that he does realize, now, that a lot of the same people are still around and supporting him. He might think that as long as he can entertain us that we sill stay. He doesn’t want to let us down. David wants us to be proud of him. I don’t think that he will ever completely comprehend how we feel about him. That are love is unconditional. We just want him to be happy. Sometimes I don’t understand how I got here and connected with a young man that eventually turned into ODD. So, how is he to believe that his fans are any different than other fans of other celebrities? The first time he was in Asia with David Cook, he figured his popularity came from being on American Idol. He thought that because the Asian people were big fans of AI that they were just excited to have someone from the show perform live. When he went back is when he realized that they were still there waiting for him. Because of that he made it a point to schedule a comeback performance. Maybe with time David will someday “get us”. I like what you said. I think the Asian fans were sincere in their enthusiasm for David in 2009. I am willing to bet that he has gained a considerable amount of new fans since that concert. David is learning that he has true fans. The ones who will always go to his concerts and support his career. After all the Idol hype fell away. Hard headed record label executives who, in all their ( lack of)wisdom, never understood his talent. He was stymied by management people who failed to meet his needs as an artist by dragging their heels in setting up a tour to support his CD. In the end, what he has left is us. Besides his voice and talent, he has a strong fan base. This is his best building block. We are the footprint of his foundation as he builds his career. I am with Angelica on a mentor. This person must have the time to help him grow at his own pace. He still consults with Dean Kaelin on music choices. Dean said he helped David with the Motab show. Someone to turn to such as Dean, would be a great comfort. SB what a master-class article you’ve written. I so completely agree with all you’ve pointed out. When I think back to AI7, and the mentors on there, I can’t help but recall how well David absorbed what each of them had to tell him. He even learned from Simon Cowell (probably, mainly, how to take cryptic remarks and let them hit the ground if they were of no value in your growth). Well the sites are very quiet tonight. Jordin just sang on AI and has changed her image and now Steven Tyler is presenting his new video and it was a dramatic ending tonight. But, every time I have an article published, there is big news that comes along. So let`s hope for something to break the silence. SandyBeaches, great article, I love this site. There’s always so much food for thought, and I come here almost daily to graze. I wonder what David Foster thought about David when he saw his performance. He sure got a close-up look at the talented Mr. A.
Suzy-Q #17. I know what you mean about David “getting” us. Something I’ve come to realize over these last 3 years is, I’m not just a fan of his music or his voice, but I’m also a fan of the person he is. If he never sang another note (Heaven forbid), I would still be his fan forever. He’s such a quality human being. I hope whoever mentors him understands this, and doesn’t try to make him into something he isn’t. However, from the way he parted with Jive, I don’t think Mr. Archuleta is going to let that happen. He knows what’s right for him, and that is what he will do. I think a mentor would be helpful in showing him how to navigate the music industry, but as far as knowing what’s in his heart, he’s got that covered. Great article! David has served as a mentor to us fans in many ways. He has been a blessing! Some I can see relatives, but some of the others are very interesting. I can see where they probably crossed paths at one point, but what brought about the mentoring? SuzyQ—last thread #70–who can forget the gorilla in the closet or the mirror on the wall? And this: SuzyQ #17–You said that so well–take a bow!!! SB, great article! I agree that a mentor for David would be a wonderful thing. As for who that mentor would be, I like what Angelica wrote. > “Mostly, I think they need to see in him what he does not even as yet see in himself and help bring that out. There is so much more to David than perhaps even he knows. I wish for him someone who recognizes his great potential and finds a way to help him see it. He needs someone who can help him in all the different aspects of his career. Someone who will guide him, not push him. And it should be someone understands who he is as a person first. 17. Suzy-Q,Love what you said there. SB, I always look forward to your articles which are always not only beautiful, but insightful and educational. And of course your admiration and love for David and his artistry shines through always. I love that you want so much for David to have it all. You want him to be all he can be and go so far as to research for ways you can assist him reach his goals. Kinda like a “Mentor-Fan”, if you will. There are so many successful artists who would make excellent mentors for David. David Foster is only one and David would no doubt thrive & learn so much under Foster’s guidance. I was also thinking how David always says he wants to make a Spanish album, so I was thinking a successful artist/mentor who is a superstar & who is bi-lingual and has sold millions of records in both languages would be Gloria Esteban & her producer husband Julio. One thing I do know is that there is a huge Hispanic/Latino population which David has barely tapped but when he finally records a Spanish album…look out! He has the potential to be one of the biggest bil-lingual recording artists ever! Another Mentor I would love & can see David working with, is Quincy Jones who would, IMO be perfect for the direction David seems to be going in, IMO, of course. Dak, you posed a very interesting question, so I looked back at the pairings to see if I could figure them out and for now I have come up empty handed. So, I will keep thinking about it but all I can imagine is that they have been in common places and have spoken together enough to know who would be a good mentor for what reason and for what experiences they have to draw from. Thanks to everyone this evening for your comments. Talking about David with positive energy seems to bring a good vibe even when we know so little more, so that has to be a good sign. SB & SF—Now you are getting me all excited!! How I envy you–My son was stationed at Myrtle Beach on his first assignment with the USAF, so I have been there a few times and loved it! My only wish is that David would have more than one performance–like one a day for three days–the more people that get to hear him live –the better. Ah yes. I watched hoping James would stay in. *sigh* Got a soft spot. And I think he is really talented. So. I winced (as in “had to close my eyes” more than once) through LGaGa and (uh… who was that latin guy? Really? Supposed to be a major talent? Really?). Then Stephen T. Yeah, well the vid began okay.. then more wincing. I told my hubby: things will change when JS comes on. But Casey, oh dear Casey!! You are so far and so good and so hungry for that foundation you don’t even know you don’t have. I think DA should mentor you. And you can do duets. I bookmarked this article to read after dinner & failed to get around to it & now it’s 1:00 a.m.~love the idea of David having a mentor~someone he can trust completely & who REALLY has his best interest at heart~praying this happens some day if it hasn’t already. Something Suzy-Q said that made me wonder..does David really comprehend the extent of our devotion to him as fans? It almost seems impossible since I don’t quite understand it myself. How could I expect him to? I’m sure each & every one of us in this vast reaching fandom are at times blown away by our own dedication to this beautiful young man, his music & his spirit. The “Thank You” video to his fans~oh my goodness~It just sealed the deal for me..I’m a lifer! Of course, I knew it all along! Thank you SandyBeaches for another inspiring article. It seems like ages since I’ve been able to comment here…that darn life of mine keeps getting in the way! The nerve!! I have missed it here. Interesting post (as usual), SB…lots of good stuff to think about! A mentor is truly a valuable asset in any profession. One thing that occurred to me is that I believe David has really been taking advantage of each and every musician, musical experience, concert, business involvement, etc. that has come his way to continually learn his craft and improve himself. He’s such a sponge! I guess you could say that in his own way, he has had a series of mini mentoring experiences! But, I absolutely agree that a great mentor can do amazing things. I agree, and know that management, a label, etc. is pretty much necessary in this industry…but for the mean time, I sure have been loving the “free David” lately–his vibe, his direction, and his attitude. Hopefully, when the time comes for all those things to fall into place–it will be a natural fit. At 17, the same age as David when he signed with Jive, my daughter was offered a 3-year contract with a well-respected, well-known agency in LA. On the one hand, it seemed like a dream come true…on the other hand, it was absolutely frightening! After much thought and study, she turned it down–she decided she didn’t want to be owned by the agency, and they weren’t willing to negotiate or make compromises–they wanted to call all the shots, and if she wasn’t willing to play it their way, there were plenty others out there who would. After that brief glimpse into the entertainment industry (ours was not music), I am even more impressed with the way David has conducted himself these past few years and the classy way he has handled all the pressure…and remained true to himself. That is so rare. Dakgal, you have such a fun spirit when we don’t sometimes. We need mentoring!!! Haha, seriously I have noticed before when we are rather quiet, you bring out the fun side of things and that is so good for us. Yes, SF and Hooked will be making the trip to Myrtle Beach with me so hopefully we will sit in the sunshine and hear David and the band for a full set for the first time. The ninjas will be out in full force with their twitvids and twitpics and they are getting so good at that. We will be there on Friday and as usual I will quickly send Bebe some pictures to post (I have to clear that with Bebe). Good Morning!! Happy Friday the 13th to all! Historically, this day has always been a good one for me so looking forward to what this one brings! Don’t be afraid. Just jump in. You have a smart daughter there and it is a very tough thing to do, staying true to yourself. I watched idol for the 3rd time this season to watch Jordin, I’m sorry I was very disappointed. My daughter made the comment that Jordin looked so uncomfortable. This fits in right into what you said Kaycee it is tough to stay true to who you are which makes me more committed to supporting David and the path he has chosen. It also makes the realization of how tough it’s been for David during his Jive days more real to me. SB’s article about mentoring makes the point of how important it is to have the right person, one who sees and respects your vision, that thinks outside the cookie cutter box and it seems to me that David is on his way to this place. This recap fits to what I thought of idol last night. Sandybeaches, how appropriate to post that video of David singing “In This Moment” at this time. The words certainly tell a story about David’s decision to go his own way. Like Frank Sinatra sang, “I Did it My Way”. Angelica, thanks for the laughs to the very end of Mr. Bean…. That was a long recap Djafan but just about as good as Mr. Bean!! Suzy-Q…David has great determination to do it his way and it seems that he always has. That little growl of his is his determination trademark! In This Moment, while I was trapped in the Mr. Bean vortex (thank you Angelica), the poll percentage dropped from 50.38 to 50.35. Aiiieeeeee! Back to voting. Join me? So sorry SB! I’m so busy voting that I forgot to tell you what an interesting article you wrote. I will be so glad when this poll is done. So – congratulations on yet another fabulous article. Well done SB! Back to the bouncing ballot. Thanks for the link to Vulture! I really enjoyed the Vulture humor that got transplanted over to some of these sites when DA was on Idol. I remember those fun jokes about the ark, etc. And I like how although the writer (Paul) likes to poke fun, he respects the use of words and what they mean. I like that he likes Casey Abrams (to some extent) in that he recognizes how Casey cares more “about the joy of performance” than adulation. This is what DA has in spades. DA loves the act of sublime intimacy that happens when music marries heart and sound. I love the way I feel when DA sings. He knows what he wants to say and lets himself say it, trusting the mystery, trusting us. Many of the comments here mention the difficulty of the music “business” and the benefits of having a good “mentor”. I loved your definition of mentor, SB. Thank you! (I wonder if I recognize the mentors that show up for me?) May the master appear should he be needed. He couldn’t ask for a more willing student than DA. The Glamberts seem to be mounting an intense offensive right now. We’re down to 50.29.
an unassuming skydancer tripped over the new “likes to run under peoples feet” lunatic kitten in her house and has been AWOL and at the chiropractors for 2 days running, but standing now to VOTE! SB–#34 — You are to kind, most people just think I’m nuts! SB # 35–Why does that song sound new to me , every time I hear it? David does not wear blue X’s very well, probably the only thing he doesn’t look good in. VOTE!!! VOTE!!! Oh sky, so sorry for your injury! Glad you’re feeling better! 🙂 Onward and upward. I have found that if I open three tabs on the Q102 site and alternate between them it cuts down on the time spent waiting for the ballot box to stabilize. I also use the F5 key rather than the refresh button. That speeds things up too. I mark my “dot,” then click vote, then hit F5, then click the next tab without waiting for the page I just voted on to refresh. By the time I come back to that page, it is refreshed and the ballot box is stabilized. Then I do it all again…and again…and again. Whew! I’ve got to vote a lot today as I will be gone most of the day and night tomorrow. Back to it. “We” are winning by .54 at the current time, according to the four tabs I have open. Skydancer#45 You didn’t! Another casualty from a cat owner. I hurt my right knee due to a near cat-astrophe too! Rest up, my dear and let me know if the chiropracter helps. I may need one too! I suppose you New Yawkers park in the driveway and drive on the Parkway!! We ” what ever you call us” do some mighty strange things too!! As far as opening multiple tabs and voting–you might as well try to teach me how to turn my computer into a 12 slice toaster!! Someone tell my why that Sonny person is getting under my skin. Am I just jealous? Sunny Hilden continued tweeting about prepping for festive photo session, she had me laughing out loud. Could you just imagine??? Pictures here from 10 year idol anniversary photo shoot. I know I’m a tad jealous, she loves our guy. She has been around David for quite some time now, since Dream Sky High days. Maybe she was one of the mom’s David was talking about when he mentioned 2nd and 3rd mom’s. Sky, ouch! Hope you feel better. Saw this on MJ’s. See anyone we know? Maybe the admins can bring the photo here? Nice outfit! “Even his hair is talented.” Bahaa! true dat. Still voting in 5 tabs. votevotevotevote!!! Well, we got it back up to 50.28% and have been holding steady for a little while. Higher, people, higher! Those AL fans are fierce. I can handle only 3 tabs. Here I go again. David always stands out in a crowd 🙂 I just tweeted him to let him know. Hi to ODDity, Bluesky and SKY…Thank you for reading the article and thanks for the comments! Back to voting! Please vote for David. I’ve been voting like crazy and the total keeps going down. You can open the page and click in the upper right hand double square to make it smaller and watch the livestream while you vote. Adam’s catching up, we need you to vote. Thanks. Fun afternoon with over 30 Idols at the Hollywood Reporter photo shoot. I wrote an article for their upcoming special Idol issue. Well, fun…he’s coming back over…and today the timing is right…just finished a music chart. Taking a break from voting to say thanks to all who posted links to the Idol 10th Anniversary pics! Why does my eye go directly to David in any group picture he’s in? Made me so happy to read that David visited Eman today. Yeah, spent my night voting. We’re up to 50.30 and holding! Hollywood Reporter Idol photo session credit David Hernandez. WHERE IS THE BUZZ ABOUT THE FIRST FULL CONCERT DAVID IS GOING TO DO TWO WEEKS FROM TODAY IN MYRTLE BEACH, SC? We have been breathlessly WAITING for the first concert with the band and it’s about to become reality, but NO REAL BUZZ about it on David’s fan sites? WTH?? And he’s meeting with Eman & the other songwriter who is using twitter to drop David’s name like there is no tomorrow ( shades of an ex-manager ) most likely w/o HIS knowledge. Well great. We know what he did yesterday. And thanks to “name-dropper”, we may know what he’s doing everyday whether HE likes it or not. Sorry if I offend because she has become the everyone’s sweetheart & may even be part of his “management team” (God Forbid) but it just doesn’t sit well with me. In two weeks David will be giving us a taste of what he’s been working so hard on since he hired the new band. There will be videos! There will be photos! I ask again…WHERE is the excitement about it?? OK..I admit even I may start to grovel at her feet if name-dropper happens to write a HUGE HIT for David!! There is a shift, a diversion in interest in what David is doing and it might take a psychologist to tell us why. Maybe we don’t have an interest in an upcoming performance in our radar because, because, well I would have to have the psychologist answer that one. But what it does seem to be is that a friend/verbal paparazzi is replacing actually hearing from or seeing David. If one refocuses, you see that she is telling us personal information that is just that, personal. I don’t believe that he is following her on twitter. She is having her fun though but unless David chooses to talk in detail about himself like that, then perhaps a friend/associate shouldn’t be filling the airwaves with the idol chatter. The BUZZZZZZZZZ happened when the concert was announced. Many other things, current events, began to overlap in Archuworld. New band members selected by David. Invisible Children benefit in Nashville and quite a few video blogs from the man himself. I believe that ‘there is’ more excitement over a blimp, David on a basketball court, one song at a car race, charity events seen by a few than David soon to appear on his stage for a full concert. That makes it a sad day. When the sold out concert happens? When is that? Do we have to wait for that? Myrtle Beach is a landmark concert for him with his new and personally chosen ‘first’ band. Just a few comments in regards to it once in awhile. This is David’s baby, his band, singing on stage. Andrea Bocelli ( humanitarian and singer) said to young singers (but in his words) that they should become ‘well established’ as a singer before they head out to become deeply involved in charity work. I can see why. There is no need for a recap until there is a sold out concert. Well that will be awhile then for North Americans, especially since MB is free. SB, really great article. My computer has has issues and I haven’t been able to comment for days. My youngest did something to the computer yesterday though, and it seems to be ok for now. So glad to see David out and about. He really seems to be doing exactly what he wants. And that is exactly what I want. So true, SB. Unfortunately, in the world today it is so often who you know, and not what you know. I remember “pounding the pavement” for months after college trying to find a job in my field. After one call to a relative who had connections, I had a job in 24 hours!…a good job! Another example to add to your list above is Justin Bieber. I believe his connection with Usher really helped push him to the forefront of the industry. Silverfox, I wasn’t going to say anything, but since you did, I have to admit that her tweets seem a bit much for me too. I know she is a close friend and you can really tell that she thinks highly of David, but I feel somewhat uncomfortable about the amount (and type) of info she has been sharing lately about someone as private as David. He is so careful about what he tweets. Abbra, thanks for the wonderful photos and reminders about what our busy man has been up to lately. I don’t think those events overshadow the excitement of his upcoming concert, I just think they are all we have had these past few months, and so, they have been relished. Nothing is better than David in concert…and oh, how thrilling for those of you who are able to attend! It seems like FOREVER since he did a full performance. And so much has happened in his life these past few months–a new attitude, a new freedom. I can’t wait to see how it all translates into his performance. We’ve seen a few glimpses already…and I’m really excited. Who here at The Voice will be going? Sometimes it’s hard to concentrate on things yet to come, when there are things happening in the present. Even though those present things aren’t nearly as exciting, at least they are something. I’ve noticed that it doesn’t take much to get us ODDer’s excited. A slight, almost imperceivable pucker of his lips in an interview almost sent us over the edge. We’re just so hungry for anything that we will jump at any carrot dangled before us. I’m excited for the MB concert and videos, but just easily distracted by any glimpse of the Archuleta in the meantime. I will point out Bebe’s “Band Series” as adequate service to informing about who David has selected to play behind him. Anytime David performs, for any reason, it’s exciting! I so wish I could GO to Myrtle Beach, but it is happening at a bad time for me (one child graduating and the other leaving for Europe.) I will be excited to hear about how it went and I pray for videos, however. I wonder if perhaps we’re just in pause mode for that concert. We know it is coming but it is still a bit too far off to start feeling the anticipation? well, when you put it that way!LOL!! ♥ HA! We are definitely at full out, overblown ODD, desperate for David to be on that stage once again.Feels like we’ve been dieting..nibbling at these carrots. They keep us busy, but I sure do want some velvet on a red cupcake soon! Can’t you just taste it SB? 66.Abrra, don’t know what it is about that 3rd picture of David, but you just put me over the moon with it.♥♥♥♥!! just something about it!whew!he looks so gorgeous, can you get any closer with it?such a softness in that one.look at him!$#%*&^!! what does that song say? accentuate the positive, eliminate the negative and don’t mess with Mr.In-Between?! Nothing but wonderful things to come from David because he is doing things his way now, and that makes me feel soooo happy when he is happy! !Love him! I was just thinking of how he must have felt, restrained by Jive and his management.And how he loves us and appreciates us hanging in there with him as he transitions to a new unknown, but exciting future.that video from the Utah awards people to his fandom)I think this is how he must be feeling.off to work now, have a wonderful day people! SF and the rest of you guys that are going, I think it will be crazy. He is going to rock the house! (Grand Rapids, 15,000 plus, wasn’t he the only one called back for an encore.) Thanks in advance to you guys for the tweets, videos, pics, recaps and other goodies we know you will be sending our way! sky, that 3rd pic, it’s also a profile. His profile should be blasted out of the side of a mountain. Kaycee, agree, the JB-Usher connection, huuuuge! I have been able to catch up on comments, (so many great ones) and I can assure you all that when the time comes for MB, I will surrender to the ODD I suffer from and be here reading tweets and waiting up for vids!! Emmegirl: “fullblown sassy.confident.knowuloveme.loveuback performance mode” Love love love that description! haha I’ll be up waiting for exactly that when MB comes around! Can’t wait! I for one don’t feel any sadness, I’m super uber excited about the future in David world and I’m only sure about a few things. The main one is David looks and sounds so excited about what he’s mapping out and working on, his thank you message let me know that nothing we do as a fan base is in vain. We got a glimpse of David and new band at the Invisible event and I’m greatly impressed with David’s choices so far. We’ve covered two very talented musicians and have two to go that leads us to the Myrtle Beach free concert. From what we’ve seen from tweets we may hear a new song, new covers, and what David is going to bring to the stage I’m sure is going to be epic. Lucky those who will be there to experience it and looking forward to SF and SB to share every minute detail with us. In the meantime I will vote and write in David’s name everywhere possible to keep his name out there beyond his fan base bubble and keep the excitement building. Myrtle Beach is two weeks away; it’s not so surprising there’s no buzz about it in the media yet because current news gets buzzed first. But have no fear; we are on the job! We chomp at the bit for any info we can find about David. We scour the web for any news in Archuletaland. And when we find it, we seize it and bring it here, Myrtle Beach news included! SB#34 “The ninjas will be out in full force with their twitvids and twitpics and they are getting so good at that. We will be there on Friday and as usual I will quickly send Bebe some pictures to post (I have to clear that with Bebe).” <<< haha ABSOLUTELY! Let's do it! Thank you! WHEW! I wanted to get home quickly so badly and wouldn’t you know I was stuck in traffic! Why do they do road work on Saturday, and on our busiest expressway?? I do believe today is our beautiful SandyBeaches’ BIRTHDAY!! So Admins…you know what to do!! Happy Birthday to my good friend & partner-in-crime SB! You are the BEST! Hope you’re having a great day. No one deserves it more! Here we go again! David keeps being included in these polls seems we’re not the only ones who realize that David is still “in”. This one is for 48 hours. Adam Lambert Vs. David Archuleta! Idol’s Best Performance Quarterfinals Begin! Wishing you good times, good music and the love of family and friends on your special day! And we just have to hear David sing Happy Birthday! Have a Happy Bday SB! Happy Birthday, SB! Have a wonderful day! Sandy Beaches, Happy Birthday!! Hope you’re having a fabulous day! I don’t tweet. The only tweets I ever see are the ones posted at sites, so that is only half a dozen or so. I am woefully uninformed in this area and my posting means nada, zilch… but..I have to just say I have enjoyed the tweets that I have seen. From what I gather she is a trusted, longtime family friend (not to mention a very successful music professional.) She was in the AI audience with his family several times, has accompanied him to numerous appearances over the last 3 years, and in his downtime. Seems they spend quite a bit of time together so he must be very comfortable in their relationship. I don’t think there is any doubting her sincerity in her affection for him. Am I the only one who never say all the new photos on FanScene’s May 13th post? Gorgeoooouuussss!!! I grabbed a few to post here. I was at this show with SB,djbell, river,refnaf,TOfan and Dawn. Nice to see these surface. Hope you are having a great birthday SB! Loved your title. Eternal Excellence just sounds so perfect for a David article. I am soooo excited to be going to see David next Friday where he will be presenting an award. I looked at the schedule for that evening and it looked like 2% David and 98% stuff I am not interested in. Someone here (sorry I cannot remember who) said they would be happy just watching David breathe. I thought Yes!! that’s me! I am going to spend some hours just watching David breathe! Wish I could make it to Myrtle Beach, but will take what I can get. 90, great pics MT. Nice warmup for MB! Great post, SB!!! Eternal excellence FTW!!!! And Happy, Happy Birthday! Bonne Anniversaire, mon amie!!! I was wondering about that whole relationship myself. I know she’s been a trusted family friend for a long time but I wondered if her sudden appearance & name dropping on Twitter meant that the relationship had become more of an official one. So long as David is aware of, & okay with, what she (and his band members) are tweeting, I agree with emmegirl, I think it helps create buzz and also takes some of the pressure off David to have to provide us with news all the time, allowing him more time & energy to focus on his music. Wooooot! Have a great time at the dog show this weekend too!! SandyBeaches; Happy B-day! Here’s toasting you with a glass of sparkling blueberry juice from Trader Joe’s (a favorite place of David), wishing you a year filled with happiness, health and wonderful memories. Just want you to know how much your eloquent, inspiring, thoughtful writings brings a smile and brightens my day … what you do is quite special … thank you. Abrra; #66; #93 … Keep those photo’s coming … whenever I look at them, it makes me vote even harder! Djafan; #78 … Thank you for redirecting my thoughts towards the positive and what is most important is that David is happy. Sometimes my frustrations of not seeing the success, acknowledgement and visibility that David deserves gets the best of me. So now back to voting until I join the rest of you in the infirmary after the voting is done, haha … it’s David for the win! Angelica; You have me hooked on your video from your previous post: David Archuleta and the Shoop, Shoop Song. I am learning and appreciating the fine art of analyzing the subtle and beautiful expressive features of David like never before … thank you, i think, for taking ODD to another level. Today is the last day to vote in the Q102 poll. It’s very close; we are at 50.10. We just arrived home from the dog show and our little girl did just great. Then we went over to our oldest daughter’s house for dinner. Just like all of the dog party pictures above!! We had a party and being a grandmother I was allowed to give the dogs on the right of me and on the left of me some B’Day cake. While our dogs were having a great day, our girl’s breeder was delivering puppies from a poor dog she just rescued, so I took up a big collection at the party and am sending her the contributions. We are fortunate and so many are not. Thanks so much for all the “Birthday Wishes” and the party pictures above. Getting older is not what we all want but to have a day that you are thought about is very special. The ‘cakes’ are all beautiful! Thank you David for singing, it is always very special! Blueberry Ice…Always a coincidence, I just had a glass of blueberry juice on ice which is a favorite of mine. Thanks for the toast! I just got home and found it is SB’s birthday. Happy, happy, birthday SB!!!! I also checked Q102. When I left home earlier today we were at 50.40. Instead of coming to chat I’m going to vote, vote, vote. If you haven’t listened to David singing ‘Happy Birthday’ lately #83 then please go and have a listen. He makes you realize that no one else can sing it so beautifully. Happy Birthday SandyBeaches!! I wish you Joy and all of life’s best. I appreciate you and all you do for David and his fans. Excited for the upcoming concert and happy for you that you will be there!! Looking forward to your reports,pictures,You tubes. ENJOY!! Happy Birthday Ms Sandy Beaches, hope you had a great day today and all the days that follow. Thanks for everything you do and all that you are. See you in a couple of weeks – we will celebrate. Here’s wishing you the happiest of Birthdays, Sandybeaches! Thank you so much for all you do to make this site so lovely! Love, love, love his last tweet. Emmegirl, I’m so busy voting I missed his last tweet. He’s been relaxed so imagine what’s coming out of that brain and soul of his. Djafan…Wow, that kinda takes your breath away for 13:56 minutes! The interview is reassuring that all is going well and priceless, yes it is absolutely priceless! Before I leave for the shows I want to thank you SF and Hooked for everything and ‘see you soon’. I took a look at the Songwriters channel to see how many hits David’s videos got. The last one with him just singing got over 3200 hits, this one is new with over 300 hits. Katie has tons of interviews of various industry people, but most have less than 100 hits. There was one other interview with the leader of ToTo, that got over 3800. I am guessing that David made a HUGE impression that day. The SV team after our ASCAP EXPO interview with David Archuleta with his manager, Jeff. sorry I’m late, very happy birthday to you. Been reading and loving your posts and comments for quite a while, thank you so much for all you’ve done keeping us informed, educated….and a lot more… and most of all your love and respect for our guy. Yes the interview #111 posted by Djafan is priceless, I love this place. hmmm …. yes, verrrry interesting. Does that now put an end to the speculation or could this simply be interim management? We know David trusts his Dad to have his back so maybe he is just more comfortable this way. Anyway, it is heartwarming to see all the respect and admiration David is garnering from others in the industry. Gosh, it’s just so special to listen to all he has to say — and he does have tons to say. How can a 20-year-old have such knowledge and insight when it comes to the power and influence of music? A genius no doubt! Oh, darn — so sorry to be late with happy birthday wishes for Sandy Beaches. Wonderful to hear you had a great day! Psst. Hey David peeps…CALL TO ACTION! MORE VOTES NEEDED! It’s a site, judging from the commentary I’ve seen there, I’m not sure many David people regularly go to, but a lot of other Idol fans do…which is what would explain David’s current 27.51% to Adam’s 72.49%. Not sure we can pull it off over there, but we need our guy to have at the very least the best showing he deserves. Ok…gonna copy and paste this seme post elsewhere…meanwhile…pass it on please? Tks~and catch up with ya lata! oops. “same” post. ugh. I SO need spellcheck. cya. There was a good discussion about so-called “polls” last night in chat. When I left, the feeling was that it was rigged favoring Adam Lambert on q102. In the end, the entity that benefits most is the radio station. Hits to their site is fodder for future advertising revenue. When was the last time any of the online polls made a difference in David’s career status or press buzz? It might have been the Teen Choice Awards 2 yrs ago. Since then no polls of any great credibility or worth have surfaced. If there was, I have forgotten. You can refresh my mind. Many said they had invested so much effort (despite falling numbers for David) that they wanted to see this one through. I am not a fan of pushing snowballs up hills at zero latitude. SB.Happy Birthday!! Hope you had a wonderful day♥ :))I loved your article on mentoring, and all the comments it generated too.Loved the list of mentors others have had. some surprises there too! I had entertained the idea of David Foster before. He certainly recognizes great talent..but there is just something about him… (can’t even put my finger on it)just a gut feeling that he would not be a good match for David, and if I were to describe that feeling, it would be ‘stifling’ maybe? He is a serious man. After watching the ASCAP interview, I think a mentor for David is something that will happen but in the future, down the line. I love the respect he has garnered and continues to gain among industry insiders. abrra. 114.hmmm. interesting. if it really is true, hope it was Davids decision to involve him.whatever he is comfortable with..
Abrra, I do SO “catch your drift”…and yet…I still get “caught up” too, occasionally. I actually don’t see them as helping his career either…and I know sites do this for traffic etc. I think it was this particular site that got me going, because I felt there was not enough David support over there…and I just always want him to have the showing I think he deserves. I know he could care less! In the big picture, even the little picture…do I know it means little…yea. But I still get caught up in the “perception out there” still sometimes. So…Tks for the reality check!….however….IF anyone else still LOVES voting, well, just because they can’t resist spreading the David-Luv everywhere…owell…Go for it! Makes you wonder if it is an interim deal or not. Three years in, he now has measurable knowledge and experience about the biz..labels, managements, financials. Thinking he is getting a pretty good idea of what is best for him. He doesn’t back down from tough decisions and I am of the mind he is making his own choices, as it should be. He is not a 17yo boy anymore. *loved his enthusiasm when talking about Nashville, and the kind of grinding of the teeth about living in LA. I have wondered before if when he gets older, more settled, maybe starting a family, he would move to Nashville. Now, LA is where he needs to be and is only a quick flight home to Utah. So it seems David has a manager and it appears, unofficially since it has not come directly from David, that it is his dad which really should be no surprise. Who else would David trust? David knows his dad is flawed. He knows his dad has faults. He knows his dad better than anyone I would guess. From his COS book, I think David has spent the better part of his life with his dad more than any other member of his family. Also from COS, David learned much of how he interprets songs from his dad. If his dad is in fact officially his manager. then I have to believe David feels in his heart there is no one he would trust but his dad to have no agenda other than to have his best interests as his number one motivation. Don’t get me wrong…I would rather David have a manager out of the family circle period. But it’s not for me to judge David’s decisions. I can only hope they will turn out to be the right decisions. I think David thought long & hard before coming to a decision he had to know would be questioned & harshly criticised by some of the media and some of his fans. He said himself that he knew his dad is viewed in a not very positive way. I think David is taking a stand by hiring his dad again as his manager and if that’s the case, then it is further proof that he is paving his own way. He is forging ahead, working hard and doing what he feels he needs to do to keep going forward. I believe David took the time after the split with the label to review his options. He could have hired another management team but he wanted & at this time, needs someone who KNOWS HIM, who he is, what he wants and where he wants to go with his career…obvious choice. Who has been there, openly & privately seeing David go through the highs & lows since he was born? I imagine there have been some unhappy, miserable times we know nothing about that his dad has helped David overcome. We know almost nothing about his REAL relationship with his dad. David gives us some insight about that in his COS. He gives his dad much of the credit about what he learned early on about music. David, in spite of his dad’s flaws, has seen fit to make him an integral part of his career so I have to believe he respects his dad enough to trust him with his future. I became David’s fan first for his voice, then for HIM and the pleasure he gave & has given me since he had me at “Heaven” three years & many tears, smiles & laughs ago. At this point, I’m trying not to care who is working for David. The most important thing to me is that David is still doing what he was born to do for the next several decades and that is to keep giving us pleasure through music and his magnificent voice and if I have concerns about who manages David or whether he is signed to a label, it is for these reasons only. I have to trust that David knows what he is doing and so I will. I agree. It doesn’t sursprise me if it’s true. David is very family oriented and IMO his dad will always be in the background and may always fill in, in the interm when David has no management in place. Just thinking out loud here but …. Right now, David has no Lable (that we know of) and is probably not sure of his direction, muscially. Perhaps he doesn’t want to choose a Professional Management Team until he is sure of his direction so that he doesn’t get pushed or rushed into anything, and have his direction chosen for him once again. His dad, in the mean time, can help to arrange for performances so that David can not only keep his name out there but can make some money so that, once he knows what direction he wants to take and is ready to move forward with a professional management team, he can afford to do so. Anyway, just my thoughts on the subject. I don’t understand this voting thing. I’ve been voting nonstop for about 1/2 hour, and the total for David has gone from 49.66, to 49.64, and now 40.63. What gives. Is anyone else voting and having this happen. Sorry, that last total should have been 49.63. Anyway, it’s certainly discouraging and puzzling. That was what we were talking about last night Lynnella, it seems rigged. Going backwards is a vote for AL. Good Morning on a not so silent Sunday. I’m a fan a David period. Who manages him or not is irrelevant to me. That ASCAP interview says it all, he is in a good place and it shows. I can only imagine the pressure he was under for him to feel like he can breathe now, that’s enough for me. Just look what they’ve done to Jordin, she didn’t have the courage David has. My admiration and trust in David has increased ten fold and more. Now those dang polls, I think that radio station is never going to allow David to win and is allowing autobot voting. The Sleazak one has only allowed me to vote once, yet in the comments I read that some of lamberts fans are voting their a@@ off, how?? They’re hiding the IP addresses, that ‘s cheating. Maybe we should concentrate on the Billboard writing in David’s name, there is an award to be won on that one. But back to voting, can’t help myself..lol. Happy Birthday Bebe!! Thanks for your ongoing support of David and his fans. I wish you the best of everything today and always. Loved the interview of David and all that he expressed and I can tell he is enjoying his freedom and taking his time to breathe and be creative. I support his decisions and will support him and his music for Life. So looking forward to his upcoming concerts and reports from fans attending. Hope you have a wonderful, fun filled birthday!! Abrra, she is precious. All dressed up and everything. dja, can we get a link on that Billboard one. When I tried it before I couldn’t get through. Thanks! Silverfox, #124, I so agree with you on everything you said. For a quiet, shy, young man, it must be so hard for David to put himself into this business that is infested with sharks of every kind. It has probably been more challenging for him than any of us will ever know. Yet, he has thrown himself into it, and is bound and determined to stay true to himself no matter what the consequences are—-and that for me is the biggest reason I admire him and will be on his side forever. Who else who wants to make it in this industry does that? Jordin hasn’t, as was evident by her performance on Idol last week. I hope David continues to have the strength, because I know in the long run he will reap the rewards ten-fold. Having his dad on his team right now is probably helping him in so many ways. David is building, making conections in the idustry that are vital, and discovering himself. I wonder if there is ANYONE in the industry who has met David and hasn’t admired him?? I know this world is full of negativity, and I suppose we are all going to have to hear about what the media has to say about Jeff, but I don’t care. Those of us who “get” David will probably get a little taste of what those shark-infested waters might be like. David is moving forward, and is happy, and I get to hear him sing. That is all I care about. Thank you for all of the birthday wishes, they are very much apprciated…and now…it is Bebe’s Birthday! Happy Birthday Bebe! No one is older really, just having a special day in ones honor and that sounds good to me. Sky…You are right. I would not like to see David Foster as David’s only mentor but one of a couple as the stars have who are listed above. Right now, Shania Twain has at least two as she works towards getting back on track. I have to get this out quickly, before my computer freezes up and I know it will. Oh my, before it’s belated — best wishes on your Birthday, Bebe, and in the years to come. Bebe – my Bookends buddy 🙂 Happy Birthday!!! Hope your day is wonderful! I loved spending time with you and Mr. Bebe at the COS book signing and I am looking forward to seeing you again – soon I hope!!! Betsy, you need a new computer, stat! I think I should make one thing clear about my post about the new revelations about David’s possible manager. It may have sounded as if I’m all for David having his dad as his manager, but that is not the case. And it’s not because of his reputation either, or about his past indiscretions. My feeling about that is my problem and has no bearing on why I have worries about his dad managing David. It’s not even about his dad not having the know-how, experience or contacts needed to do a professional job for David because I think we tend to forget all the contacts Jeff has made and the experience he’s gained since David was on Star Search. Jeff probably knows all the VIP’s in the industry who can make or break an artist. He probably knows the ins & outs of negotiating a contract for tour sponsors and which one’s would show an artist in the best light. I have never read anything negative about Jeff being hard to work with but if he does have that kind of rep in the industry, I would think that is a good thing as it would mean he’s not a pushover when negotiating something for David. So his “professionalism” is not my concern. He may not have a degree in managing the son he raised to be one of the most honest, humble, compassionate & forgiving young men on the planet (along with his mom, of course). But I’m sure, like David, he is a sponge when it comes to learning & retaining what he needs to do the best job for David. I believe he knows by now that if he does anything to deter David from going forward, David will have no problem firing him. So no. None of that worries me…what does worry me is that David will be seen in a different light. That he will be viewed as going backward instead of forward. And my biggest worry is that there are some fans who have such an aversion towards his dad that they will give up on David. Unfair but it may happen, unfortunately. Also worrisome to is that statistically speaking, a business relationship like this with a child having a parent as a manager has been shown to be the cause of much strife, over-blown egos and greed resulting in an estrangement which can be permanent. I can only hope & pray David’s case will be one of the few success stories. Time will tell. I must also say SB’s article is more to the point than ever now. David needs a Mentor now more than ever. Because the truth of the matter is that David has an uphill climb going on. I hope this news will just be a little speed-bump in the road back for David. He is regarded highly by everyone who meets him in the industry, but they do not buy his music, merchandise, or go to his concerts. Fans do. So IMO, he needs a someone, a Mentor who will help David get back the momentum he had from his CFTH and the fans who are just waiting & hoping for a reason to come back. He can have it all his way and still be able to breathe. In the meantime, I CAN HARDLY WAIT TIL MYRTLE BEACH!! Sneaking back in for a second while I can. Abs #93 and #113. I cannot. Take it. I STILL watch those Manchester videos, almost weekly. Maybe more sometimes. I guess Myrtle Beach will be our first real look at the new band together. Something (looking back)I thought we were seeing a glimpse of in Dallas,at the Majestic Theater.remember Alfredo? and the band from New Years Eve? That was a polished performance, they were good,can’t remember their names, and now its not important is it? They, were not David’s band♥ These guys…they are David’s band♥!! Puts a smile on my face! I think they will bring it all for David. They are young. exuberant,cute, talented, and David for the first time has his own hand picked band! I look forward to all of your keen observations in Myrtle Beach SF, about how it “feels”. Cannot wait! Bebe, an update from camp runamuck. the new cat batted/destroyed my tulips and ate the leaves today. His new name is Damien. woah Whew, I can’t take it. Tulips were delicious. When will that silly woman servant of mine learn that I. am. Damien and I can haz anything! I think I will trip her later just to watch her fall. heh heh. I’m with you on this, and I hope it is the case. There is one thing that REALLY gets my dander up though. Why , oh why doesn’t Jeff have the discipline to stay in the background. He’s in about every picture he can manage a way to be in, be it lurking in the background or right up front. It’s not like he’s being left out of a family photo. It’s not little David winning a singing contest, so we’ll take a picture to send to G’ma and G’pa. This is business and he’s not the main attraction! Why should it be left to David to tell him to stay in the shadows, Jeff should be the one to know this and not put David in that awkward position. In these situations Jeff is his manager and that’s all–pure and simple! And IF ( and I really don’t know) Jeff is a hinder to David when it comes to working with people in the industry. Why would David want to be walking around with a ball and chain attached to his leg? Maybe sometimes you can’t see the forest for the trees. 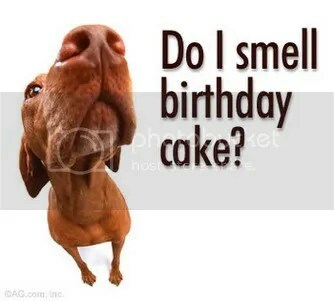 ♫♫♫ HAPPY BIRTHDAY TO BEBE ♫♫♫ Hope you have a fantabulous day!! Abrra #120 —I am not a fan of pushing snowballs up hills at zero latitude. You get my drift? Bwhahah–So I took an abrra pill this morning and decided not to bang my head against a brick wall today 😉 Where in the heck is Q102 anyway? All they accomplish is pitting one fan base against the other–and they pick the most popular idols cause they know they will get big hits! Skydancer #150–Camp Runamuck Haha 😛 You must have the patience of Job!! I’d of had his little suitcases packed and he’d have been out the door days ago. What are you going to do when his head starts spinning? He’s already hissed and spit at you. Damien indeed!! Got it Angelica, I looked a little further back at SKY!! Thanks Betsy for attaching Ave Maria. Beautiful and relaxing!! The video of the magnificent David singing Ave Maria and the photo of that hideous cat just do not belong in the same thread. It seems rather sacrilegious somehow. But I’m a cat lover so the three birthday cats are very cute. Hope both BeBe and SB had a great birthday weekend! Happy Birthday Bebe!!!! Thanks for all you do here! I enjoy talking to you on the voice chat, you are always so friendly and full of fun! Thank you Betsy, his songs should always be first and foremost. Sometimes we forget about his voice and his songs and that is what we love so dearly about David. We should have these videos within our conversations more often, to bring us to the purpose of our cnversations. Bebereader; Sending you a cyber serving of warm blueberry buckle topped with vanilla ice cream. Hope that this special birthday is celebrated with loved ones and overflowing with all the blessings of another wonderful year ahead! May I express my admiration and appreciation for your extraordinary research, articulate and informative writings that keep me looking forward to each masterpiece … thank you for your dedication and for making us feel at home here. Angelica; #151 … My kids have been after me to get them a cat and I’ve given them plenty of reasons why not … but after Sky’s “camp runamuck” experience and that photo … I don’t think I’ll look at another cat without that image coming to mind, lol. Betsy; #155 … Just breathtaking! I’m curious … was the photo on the back cover of his book COS taken from this concert? His pose in the beginning when he is looking down, concentrating, holding the microphone and the lights dimmed seems to trigger my recollection. Betsy, your wonky computer-must have been those pics that did it. The family took me out to lunch to my restaurant of choice. Then, in between raindrops, we browsed in some stores. I heard “Crush” on the sound system in one of the stores. Would rather have heard “Falling Stars” or “Good Place” but it’s David so life is good! SandyBeaches, Happy to share the birthday weekend with you, as we do every year! Here’s to tradition and many more! The ASCAP interview keeps calling my screenname! I think it’s the best interview to date! I realize it has been edited but not too much. You can see the way David has matured in his breath of thought in answering the questions. He is a true American Idol! As for Jeff being David’s manager, I agree with MT and Dak. I think it’s only temporary until David finds the direction he’s going. I’m glad he has the security of supportive parents who are always there for him. Dak, Jeff really was staying in the background for a while. We haven’t seen him in pics for a long time. He was in Nashville for the IC event but never appeared in a pic. So, to see him in the ASCAP pics was startling. 151.Angelica,omg what IS that?? I think I am going to have nightmares of my daughter’s crazed kitty morphing into..that one!Yikes!Definitely closing my bedroom door tonite. SB and Bebe are birthday seesters!one day apart. Skydancer—-Thanks for sending me off to dream land with a good laugh—definitely close your bedroom door—good idea about the iphone, David can sooth the savage beast! I sure hope you have had a wonderful birthday!! You bring so much joy to everyone here. Thanks so much for all you do! So tired and yet so glad I have stuff to do. Work is a blessing. Love to all. Maybe I can read all your fun stuff later. Concert(s) soon. Love is in the wind. Happy, happy birthday to both SB and Bebe! Hope you both had a super fantastic day on your birthdays! Bebe, loving your band intros immensely! Thank you so much for taking the time to find out about them! Seems like an awesome group he has assembled here!!!! Thank you so much for the birthday wishes. Your kind words are so appreciated. Ah, dang it! (said with a David accent) I missed your birthday, Bebe! Hope it was wonderful! All your hard work here at The Voice is truly appreciated. JR so excited for you! woo hooooooooo!